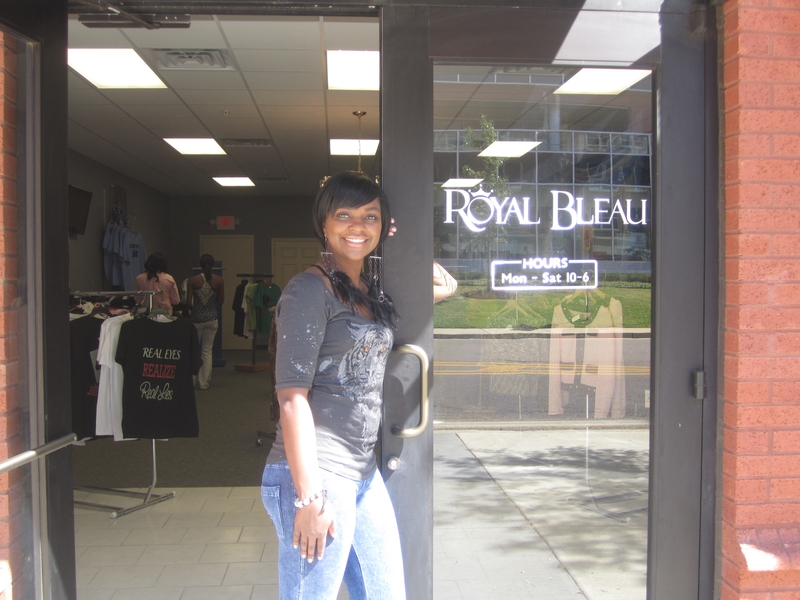 One of Jackson’s newest fashion boutiques, Royal Bleau, is now open for business in West Jackson. The boutique is located in One University Place–across from Jackson State University’s Student Center at 1100 John R. Lynch Street, Suite 8. The boutique is owned by JSU student, Marissa Sims. Marissa is a senior majoring in Mass Communications and Business and is putting her education to excellent use with her newest venture. Royal Bleau Boutique offers a variety of designer and costume jewelry as well as fashions for women. Clothing in queen sizes is also available with a limit of four items per style. If you are attending JSU Homecoming this weekend you can also purchase your JSU and custom Greek apparel at Royal Bleau. The boutique is currently offering a 10% discount off purchases of $60 or more. Royal Bleau is open Monday thru Saturday from 10:00 a.m. to 6:00 p.m. For more information on this exciting new Boutique, please contact Marissa by dialing 601-321-9564. She’s waiting on your call and/or visit from you. You will not be disappointed. Do you have a website? For those who don’t live in Jackson, MS.
Hey Mrs. Dozier, It looks like they now have a website: http://royalbleauboutique.bigcartel.com/ They’re also on Facebook (http://www.facebook.com/pages/Royal-Bleau-Boutique/200354730027785), Twitter (https://twitter.com/RoyalBleauBtq) and Instagram (username: royalbleaubtq). If you’re interested or have questions, let’s chat more about it so I can fill you in on the details.